If you've just set up a business, is may be the case that you're looking for finance to really set the wheels in motion and look towards investors or banks. Or it could be that you're now in the process of trying to sell your product or service to potential clients. 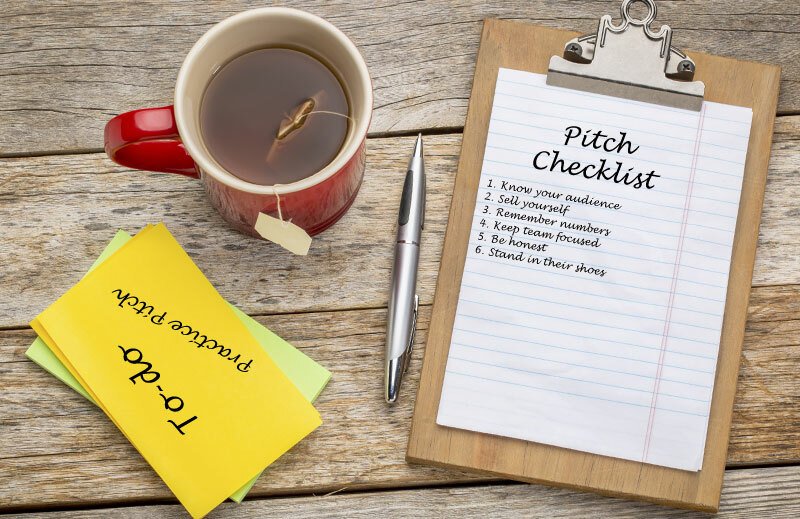 Now is the time to step up and pitch your business. But where do you start? We've compiled a quick checklist to help you ensure things can go smoothly (or as smooth as they can within your control). It's generally good advice for most things relating to work and business - tailor your offering to your audience. If you're applying for jobs, you should normally tailor your CV to the employer - show them the relevant experience you have, so why wouldn't you tailor a pitch to a potential client or investor? You wouldn't sell your financials to a client for example, so don't include them. However, this would be ideal for investors. We don't mean put a price tag on yourself. You represent the business so you need to look and act the part. What's the attitude of your business? If it's fun and friendly, make sure this comes across in your tone of voice and style of clothing. For example, if you're pitching a professional business, rethink the jeans and consider a suit. Give them a good impression and make them want to invest in, or buy from, you. If you've ever seen BBC's Dragons' Den, you know that your numbers are important (especially when Deborah Meaden is the one quizzing you). It's not a complete list - they could ask about anything. However, with a potential client or purchasers, it's important to remember what your product sells for, and whether or not you can move on that price at all (e.g. lower the price for bulk orders). If there are more than one of you pitching, make sure you're all singing from the same hymn sheet. Don't contradict each other. In fact you could use this to your advantage. One of your team members can remember the figures, while another could know about the ins and outs of the production process. You're a team, and need to work together towards the same goal. There's nothing worse than when you're asked a question, and you completely forget the answer. If you don't know - admit it. It may not necessarily go in your favour, but you can learn from your mistakes, and it means you're being honest. If you try to make it up, you are likely to forget what you've said and contradict yourself later on, or just be caught out. Don't risk it. If someone asked you to invest in their business, what would you want to know? What questions would you ask? Try and think of these points before pitching your business to help combat anything which could be thrown at you as a surprise. If you think like an investor or client, it may help you pitch to them better. It looks simple written down, but we know it's much tougher when you're actually there. Keep calm, stay on form, and try to think straight.